For software developer Bart Kindt satisfaction is living simply in a caravan with Internet connection and seeing his radio tracking software, SARTrack, finally rolling out across New Zealand. At a training day in Masterton’s AREC clubrooms, which drew more than 30 people from as far afield as Tauranga, Bart ran through the process and features of his innovative software package, which shows the live location of land search and rescue teams overlaid on digital topographical maps. Participants were encouraged to use their live log-ins to play with the program at home and become confident using it during SAR operations. Created in New Zealand, Bart’s free software has gone full circle to North America and around the globe, downloaded by groups who see its value, especially in the volunteer world. Its use in New Zealand now has achieved what Bart set out do a decade ago. 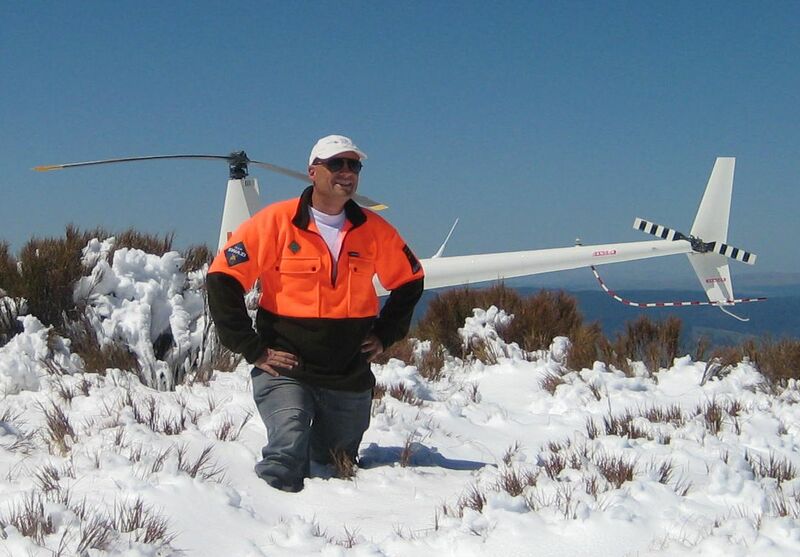 In 2006, he was living in Central Otago, aware that local SAR teams used a search dog carrying a GPS device. The dog would return to base and data was downloaded to a computer to see where the dog had been. With his amateur radio radio background, Bart hatched an idea for improvement. Bart asked “Why don’t you use some sort of radio-based tracking system so you can see live on a computer screen exactly where the dog is?” From there he developed basic software which implemented exactly that very idea. The next step was for human search teams to take a radio tracker into the field and show up continuously on-screen. “From there, the program got better and I added special features for SAR, such as a logging tool” he explained. Bart spent a year working on the software based on New Zealand topographical maps and building hardware such as trackers, repeaters and radio equipment, using his own funds. “LandSAR teams passing by my home were given demonstrations on how the system worked, however I became a bit disappointed by the lack of interest.” he relates. Still determined, Bart made an international version, starting from scratch and developing many features for amateur radio use. He says amateur radio operators in countries such as Canada helped spread the word, and the software began to be installed by SAR teams with radio amateurs in their ranks. Finally, Southern Region LandSAR indicated they wanted to use SARTrack. “That triggered, finally, the actual start of SARTrack being used in New Zealand”, Bart says. Up to 20 groups in the North and South islands are now experimenting with SARTrack and it continues to attract new users overseas. SARTrack was designed to cope with large-scale disasters, which Bart experienced first-hand during his involvement in the LandSAR and AREC Operation West volunteer effort after the Christchurch earthquakes. “It is very fast and reliable but making free software for those situations also comes with huge responsibility.” Rural fire disasters for instance, involve intense and high risk communications, often with many lives at stake. He hoped the Masterton session would seen as logical and did not skip the important things. “SARTrack was designed for New Zealand in the first place and I get good reports on its use. It’s an active development, so I need feedback from training sessions and SAR missions to make the programme better. The downside of the training sessions is that I return home with many new feature requests!” A full presentation on SARTrack was also given at the LandSAR conference last July.